Kenichirou Yamanaka was born in Japan during December 1966. When he was 10 years old, he started to editing animation songs and J-Pops by mono-cassette tape recorder. Making his first steps, in the 1983 (he was 17years old), he begun to work as technician in a cable radio station in Tokyo Ginza where he met over 50.000 records (Pop, Disco Soul, Jazz, Rock, etc.) and he also started as Dj editing for disco music by Otari Real to Real. During that period he also bought a Korg synthesizer keyboard to begin to produce his own tunes. 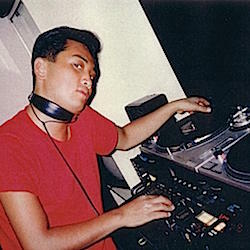 In the 1986, he moved to New York (Usa) where the music scene was starring the hottest House Music movements. He was present in all the best club of the city (Red Parrot, Palladium, Saint, Paradise Garage, 70 West, Silver Shadow) growing up his joy for this new music style. He came back in Japan and he started to DJing in the more than 30 best clubs of his country as Hippofellow, Genesis, Akira, etc. After this long experience, he came back to Usa and just 3 month later he was playing on Kiss FM with Jay "Mixin" Dixon and on WHCR Harlem Radio 90.3 Fm with Dj True that every week picked him up as latenight Dj. 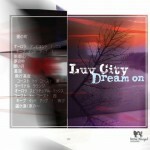 In the 1999 he moved definitevely back to Japan and he started to arrange original songs with the cooperation of other friends naming the group 'Luv City'. During 2004 they were discovered by Harley&Muscle.